The following Sunday after Valentine’s Day, I got the chance to see a really nice movie for couples at my sister’s church. I cried buckets just like the rest of the audience, but I went home really blessed. 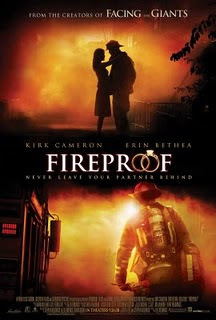 Fireproof is a movie that revolves around the firefighter’s motto of “Never leave your partner behind.” The marriage of Caleb Holt (Kirk Cameron), a heroic fireman, and Catherine (Erin Bethea) is on the rocks, and Catherine wants a divorce. As a last-ditch attempt at saving his marriage, Caleb’s father John (Harris Malcolm) presents his son with “The Love Dare” challenge. Each day for 40 days, Caleb has to do something for his wife to convince her to stay. This seems to be a formidable feat as Catherine constantly rejects him. Find out how Catherine is swayed in the end to give her husband a second chance. 1. Say something nice to your spouse. 2. Do an unexpected act for your spouse. 3. Buy your partner a gift that says you’re thinking of him/her today. 4. Ask your spouse if he/she is doing okay or if he/she needs anything today. According to the movie, we will definitely encounter fire in our marriage. The most important thing is that we’re able to withstand the fire if it does happen. This entry was posted in Fireproof, Marriage, Movie Review, Movies. Bookmark the permalink. One Response to Is Your Marriage Fireproof?